Guest post for Morbidly Beautiful, on a subject that I’ve had in mind for some considerable time, as there is a wealth of interesting material, and it ties in well with the story in Literary Stalker. 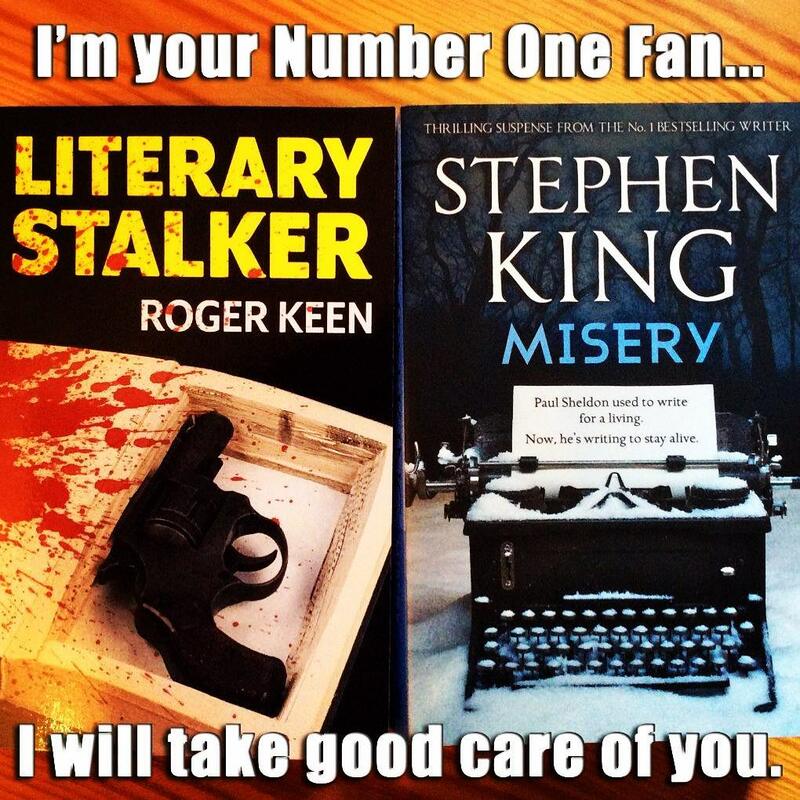 Stephen King constructed the most famous fictional literary stalker ever, in his novel Misery. But he had several real ones too! Find out more about the stalking of Stephen King, Peter James, James Lasdun and other authors. Morbidly Beautiful have done an excellent job with the layout, text headings and quotes, and have furnished a wealth of great photographs. My novel Literary Stalker constructs a fictional scenario where a writer/fan becomes embittered by a series of negative encounters with others in the writing game, and in one particular case he tips over into becoming a stalker, heading inexorably towards bloody revenge. In fiction, a variation on this theme has been explored most famously by Stephen King, who gave us literary stalker Annie Wilkes in Misery, and brought to life every paranoid writer’s worst nightmare. But what about in real life? Are there actual literary stalkers out there, preying on illustrious scribes? You bet there are!